If you were injured on the job, you can still make a claim against the party who caused the injury. 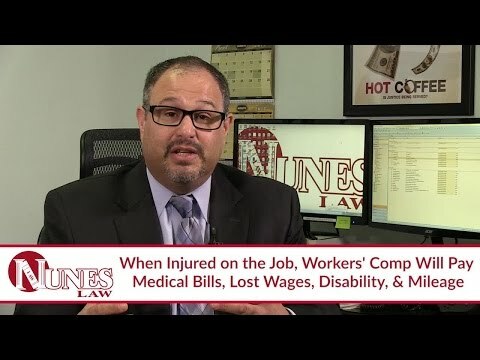 As we know, workers’ compensation will assist with paying medical bills, lost wages and disability while you are undergoing treatment for your injuries sustained. After your workers’ compensation claim is resolved, you can make a claim against the responsible party. Understand that when the case settles you will need to reimburse workers’ compensation for the amount of benefits they pay on your behalf. Watch the video to learn more. If you have additional questions regarding your injury, workers’ compensation or your claim against the at-fault party, I want you to call me at (559) 436-0850. I welcome your call. Visit our educational website at www.NunesLaw.com for more videos and media content from our law firm.